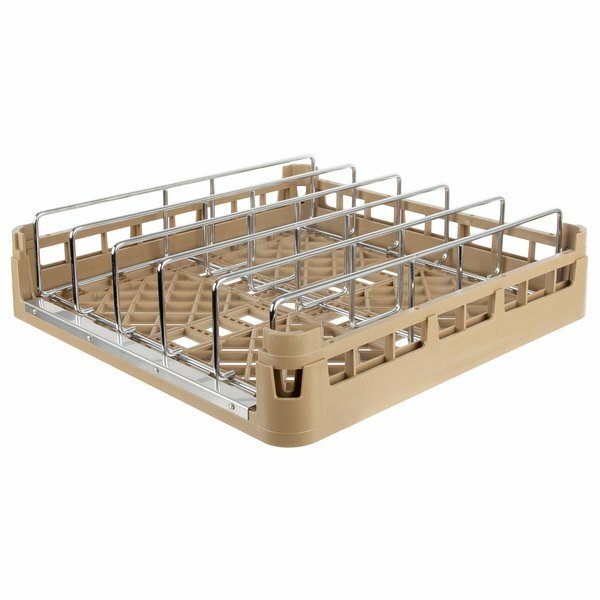 This Vollrath 52669 Signature full-size beige open end steam table pan rack ensures that your food pans and trays are washed in optimal conditions! 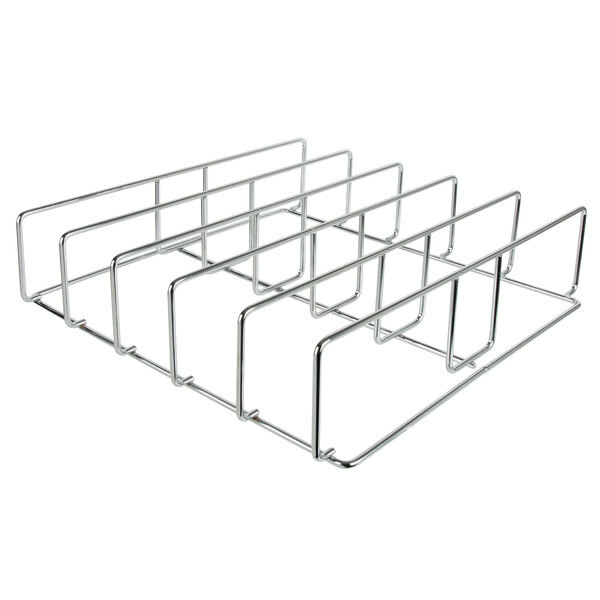 With a sturdy insert made of chrome-plated wire, this rack is strong and durable to be able to support even your heaviest pans. 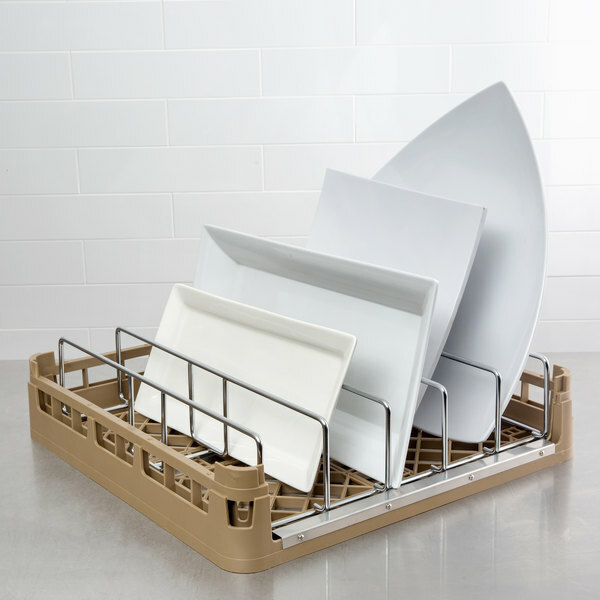 Plus, the insert is removable for easy cleaning and storage. 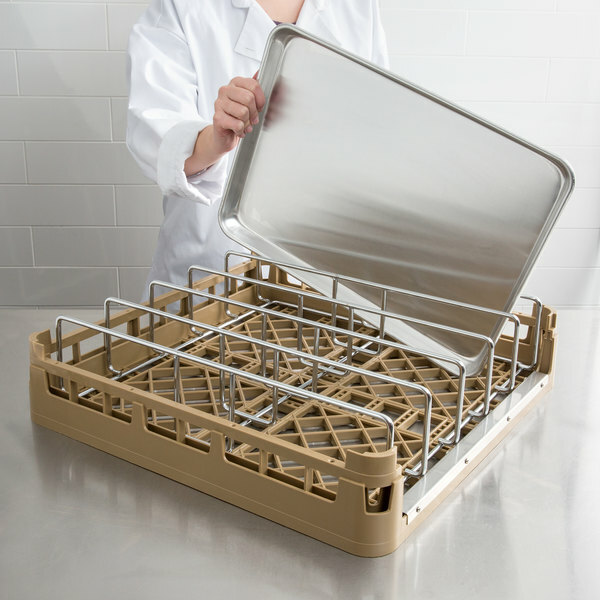 With a 3" space between each of the dividers, this insert can support large, oversized trays, or even 2 1/2" deep food pans. 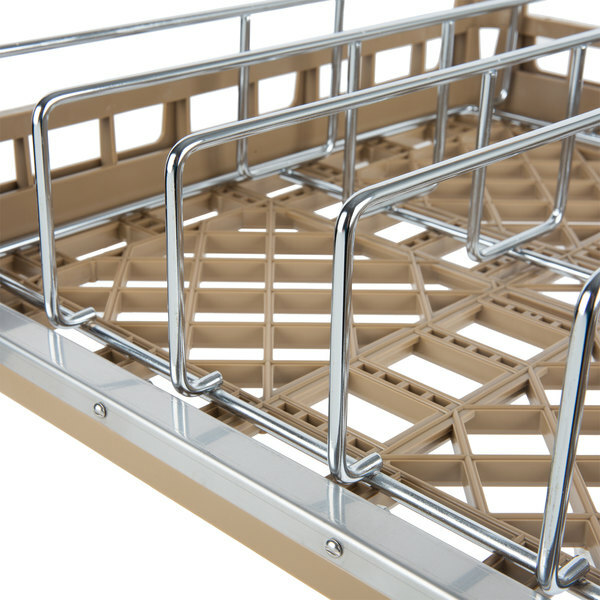 The open end design of this pan rack makes it easy to load and unload pans quickly so that you can keep up with the rush. 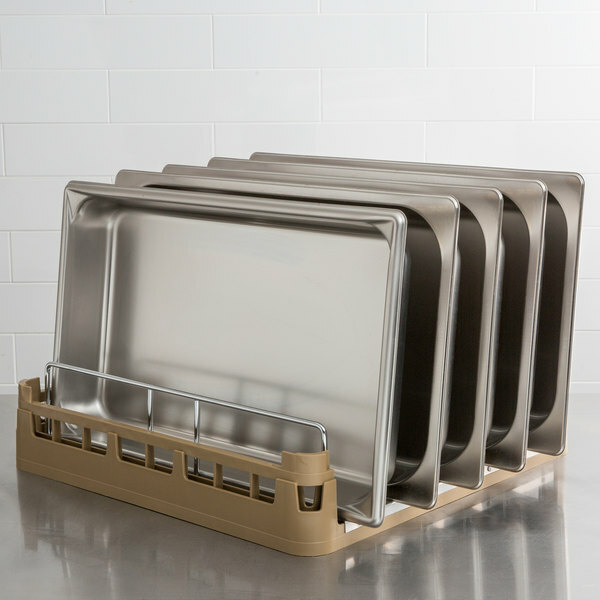 This food pan rack is the perfect addition to a color-coded system! 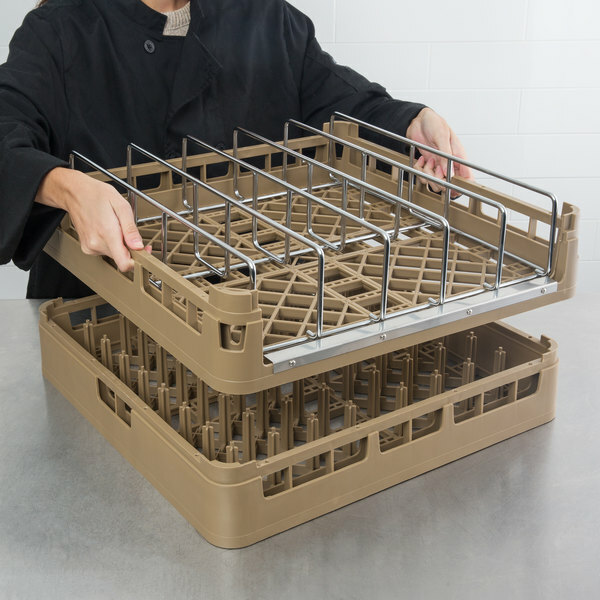 It comes in a beige color which, when used in combination with other rack colors and styles (sold separately), prevents cross contamination by allowing your employees to see at a glance what items should be washed in each rack.